Started in 2001 with a view to impart Effective & High Quality Coaching Classes in MATHEMATICS for academic 10th, 11th, 12th & Competitive Exams IIT- JEE.Highly acclaimed & widely renowned for its credentials in producing high ranks in Competition as well as Outstanding Results in CBSE Board Exams. 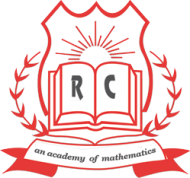 Reddy Classes conducts classes in Class 10 Tuition, Class 11 Tuition and Class 12 Tuition. It is located in Yamuna Vihar, Delhi. It takes Regular Classes- at the Institute.